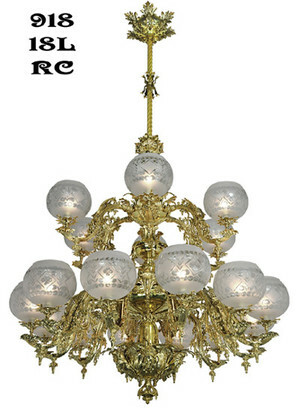 Recreated Starr-Fellows, two tier reproduction gas chandelier: 18 lights on 2 tiers on this solid brass reproduction gasolier. Lost wax solid brass casting gives beautiful detail just like the original from over 100 years ago. 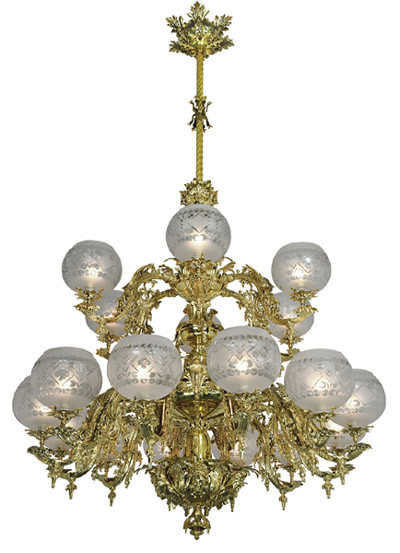 Visitors to our showroom are amazed at the beauty of this chandelier. For very high ceilings, extension kit 1038-EXT adds 39" for each kit used. An unlimited number of kits can be connected together giving any length. Top it off with one of our genuine plaster ceiling medallions, left natural or they can be painted to match your room. 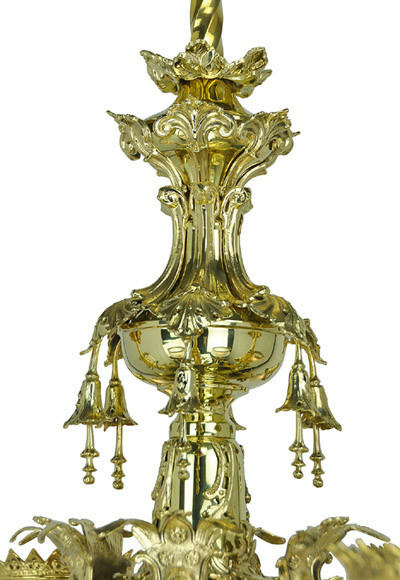 We show this chandelier in its polished unlacquered brass state, but if you are performing a historic restoration or matching older hardware, Antique Brass Finish can be ordered for this fixture from the menu above. Shown with 0182G as a suggestion. 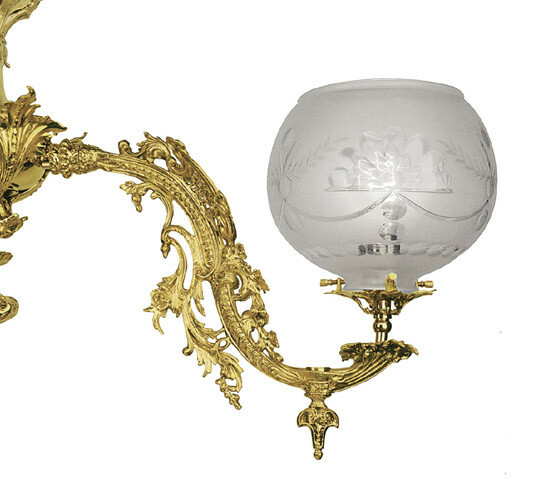 We have 11 beautiful hand-created gas shades to choose from. This chandelier would wear our brass crown well, too (pictured here also). Victorians had a passion for Rococo. See our entry door hardware, and furniture knobs and pulls to match Rococo and French Revival as well. 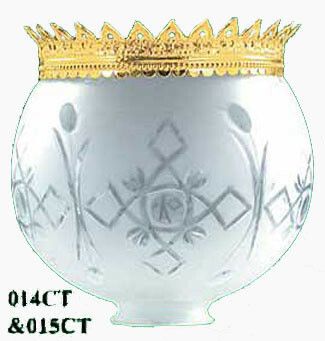 Overall Height: 93 1/2", but can be shortened by as much as 22" (while still using center stem décor). It can go even shorter if you don't use the center stem décor. Although the sockets are UL rated for over 100 watts each, per UL standards we recommend up to 100 watts due to the heat generated. If using CF bulbs, wattage may be greater.